A Sonata written by an Olympic rowing champion and composed during active service in the First World War has received its World Premi�re recording on EM Records. Born in Sydney, Australia, Frederick Septimus Kelly attended Eton College from the age of twelve, where his talents both as an oarsman and as a musician were first recognised. Continuing his musical studies at Balliol College, Oxford, and at the Hoch Konservatorium in Frankfurt, he returned to the UK in order to compete in the 1908 Olympic Games, in which he won a Gold Medal. Becoming immersed in the musical life of London, he met the violinist Jelly d�Aranyi, the great-niece of Joseph Joachim, and by 1912 she and Kelly were performing together regularly as duo partners. Soon after the outbreak of war in August 1914, Kelly volunteered for the Royal Naval Division, being posted to Gallipoli in 1915. It was here, in his tent on the front, that he composed his Violin Sonata in G major for d�Aranyi. Although predominantly lyrical, there is another world seething underneath: one that speaks of change and, sometimes, of destruction. It may be regarded as Kelly�s farewell to a way of life that he knew the War would bring to an end. For d�Aranyi, the Sonata also became Kelly�s farewell to her: he was killed on the Somme in 1916. 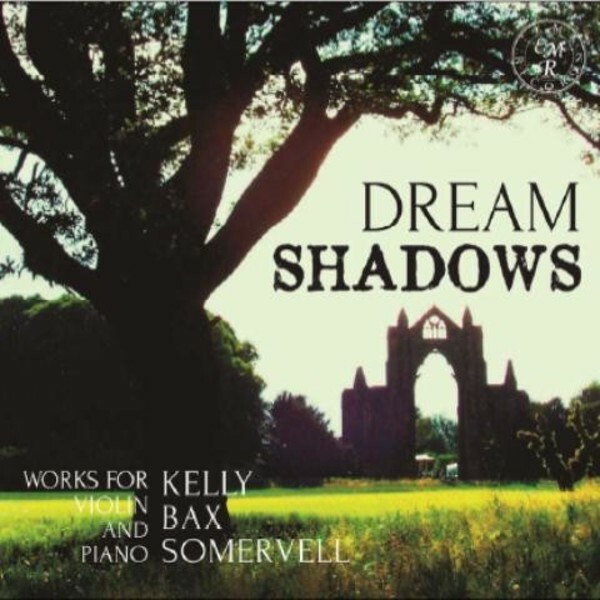 This new release from EM Records features the World Premi�re recording of this Sonata alongside two other works composed in 1915: The Second Sonata by Arnold Bax was written as a direct response to the First World War, and the influence of contemporary events can be heard in the work�s overall dark coloration. By contrast, Arthur Somervell�s Two Conversations about Bach for two violins and piano display a lighter aspect: although short, the pieces display a beauty of craftsmanship and elegance of construction that makes them most compelling.